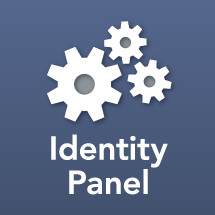 The Azure provider for Identity Panel includes two workflows for managing user licensing. Azure License User and Azure Delicense User. These workflows run in the security context of the Azure/Office 365 data scan accounts, and they also share in the same PowerShell throttling mechanism. License Name – This must be an exact match for the License SKU name to assign or remove. It may be returned by a templated Rule engine expression. User Principal Name – The UPN of the targeted user in the MSOnline directory. Environment – Select the Azure AD provider connection.